If you’ve read my previous post, you’ll know that a family member of mine has recently started to read, and out of pride I decided to read along with him. 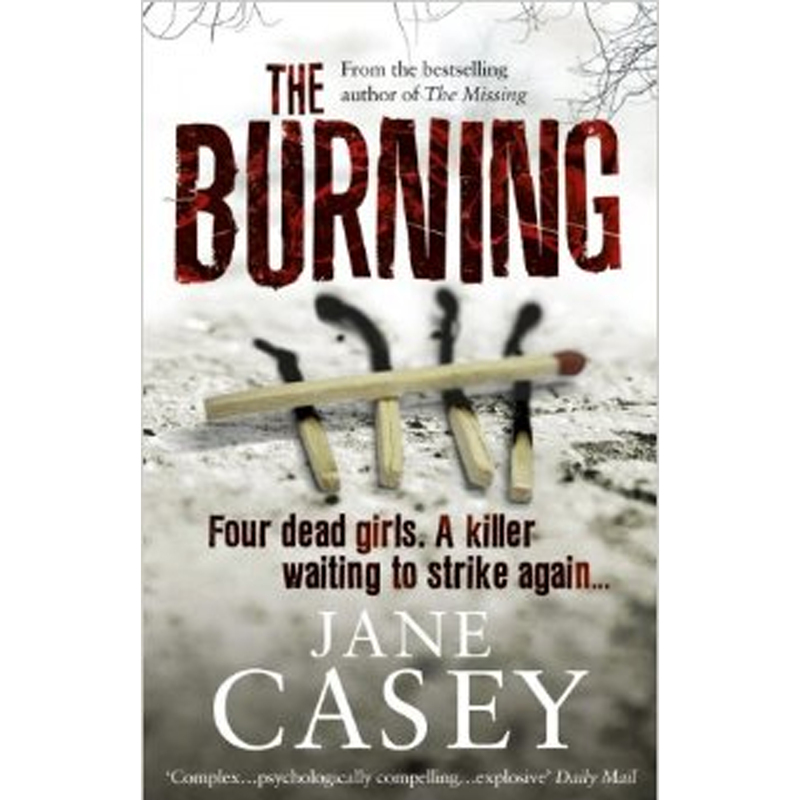 The Burning by Jane Casey was the first book he picked up, just because he wanted to. So after reading the Green Mile along with him, I thought it would be nice to read the book that got him hooked. I have mixed feelings about this book. I really did enjoy reading it, however it wasn’t really the ‘thriller’ I was expecting. It took me a little longer to finish reading that it would have with other books of a similar style and length. Though I found the tempo to be fairly slow, the plot was interesting enough that I wanted to read on. I’ve never been the type of person who can predict a twist in a plot line, or can immediately tell who the bad guy is in a story. However, this was not the case with this book. As well written as it was, I found that I knew exactly who the murderer was after just 100-120 pages. As sure as I was that I had figured out who the murderer was, I kept reading to the end in the hope that I had gotten it wrong (as that tends to be the case) but no, I was very much right in my predictions and felt it had been obvious throughout the book. As I said above, I really did enjoy the plot line but I’m really not sure if I will be reading on in the series. If I do, it will probably be more for an easy light read than scary thriller.